The image of a boat has been used on headstones for centuries by many civilizations. 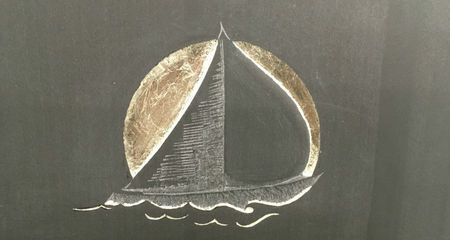 The boat lends itself well to carving, as it can be simplified and stylised. 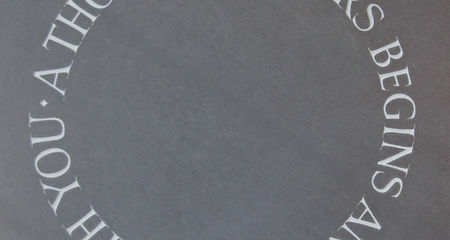 It is a romantic symbol, a symbol of a journey but also a symbol of safety and refuge. 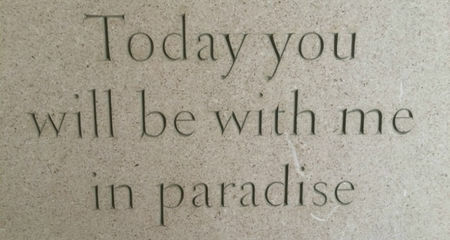 A selection of Bible verses for headstone epitaphs which are both uplifting and comforting. 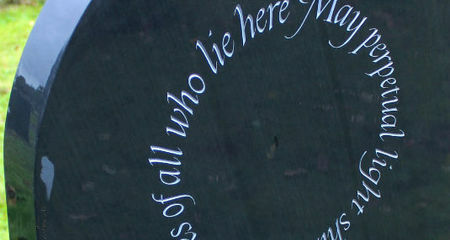 Fergus offers further advice on choosing an epitaph, with over 200 more examples from poetry, literature and lyrics. 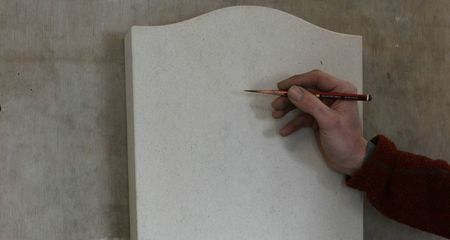 The task of commissioning a headstone can be a painful process as it can be perceived as a final act of saying goodbye. This can bring up many emotions and perhaps a reluctance to face them. If you find yourself in such a place, perhaps the process outlined below can help you. 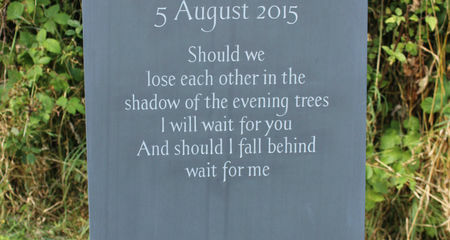 Are you struggling to find the right wording for your loved one's headstone? You should not have to do this alone. Kerry Ingham, a bereavement counsellor offers some direction and support. For anyone who has had a stillborn baby or has lost a child, I have compiled a selection of comforting poems and funeral readings. In time these may also provide inspiration or ideas for an epitaph or headstone quote. 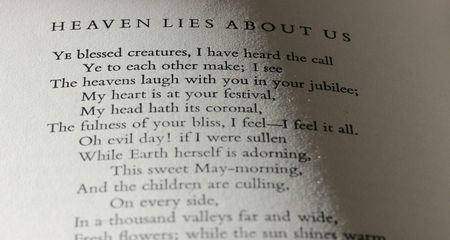 A collection of comforting funeral readings for funerals and memorial services. Words from these may also be inspiration for memorial epitaphs. Here is a list of funeral poems which I hope will provide some comfort and peace. I have been making headstones for fifteen years. I hope this article helps people who are thinking about a headstone. My biggest piece of advice is to take your time. This is a brief summary of the Oxfordshire Churchyard Regulations which apply to our clients. 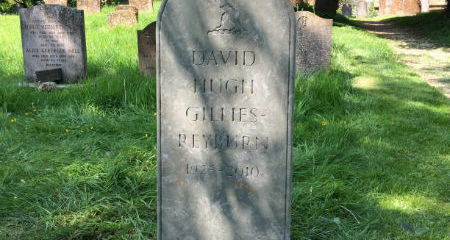 Clients are often worried about regulations, but vicars tend to be very helpful and encourage unique, hand carved headstones. 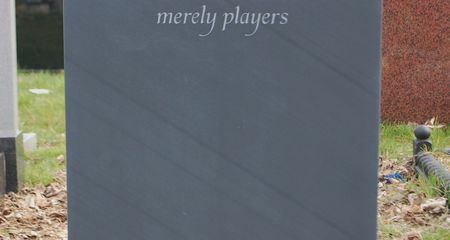 What words can I put on a headstone? 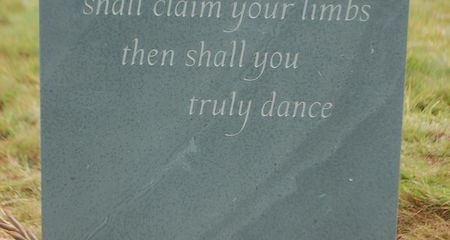 I am often asked what wording is allowed on a headstone which is to go in a churchyard. Unfortunately, there are often no hard and fast rules. Below I shall summarise the main guidelines and offer advice based on over ten years' experience. 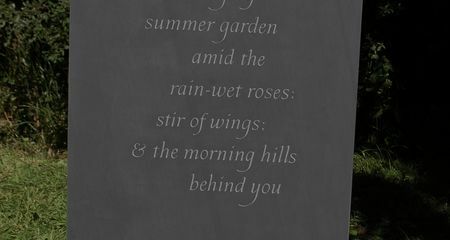 Some beautiful examples of epitaphs inspired by poetry. 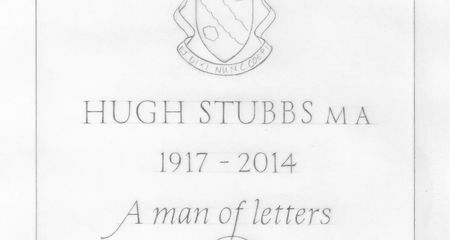 A case study into the thought process and decision making that goes into choosing the wording of a memorial for Hugh Stubbs, by his daughter Kitty Allan. 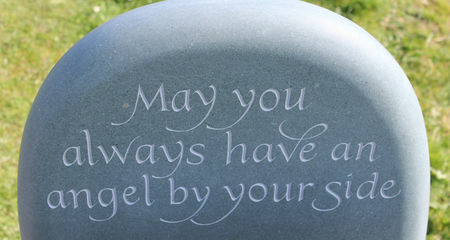 Choosing a memorial quote or epitaph for a headstone can be very difficult. Here is a list of tasteful epitaphs and quotes for headstones, many of which I have carved into headstones myself. 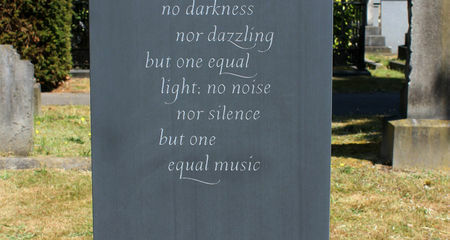 Choosing the right wording and material for an official opening plaque is crucial. Here I list some do's and don'ts when deciding. 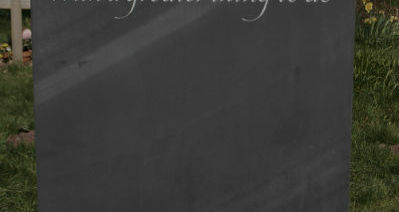 Headstone Inscriptions & Epitaphs-Where do I begin? 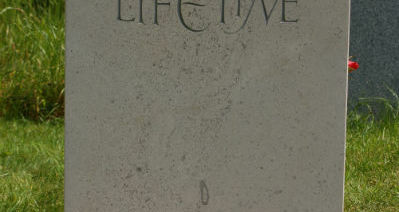 Choosing an inscription for a headstone can be a daunting and stressful prospect. Here I offer advice to help you begin. 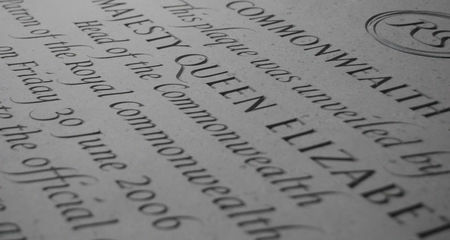 Here are my top ten tips for choosing a headstone inscription, one of the most challenging part of commissioning a headstone. Dying Matters commissions new study which shows that half of all couples do not know how their partner would like to depart this world.